Even though the show is winding down, Fringe fans have at least one cool thing to look forward to from the Fringe-verse - and it will be revealed in tonight's episode...or in the next paragraph if you keep reading. 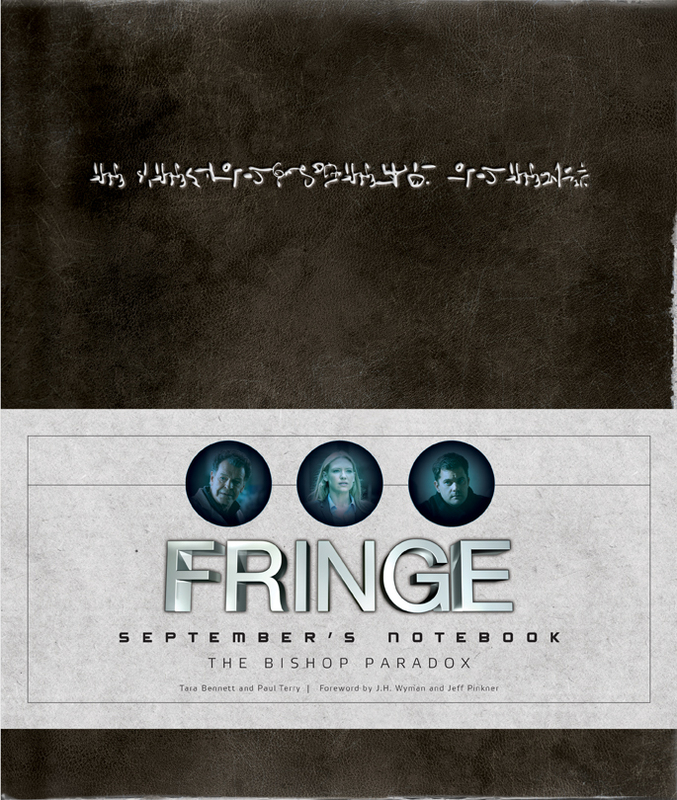 In tonight's penultimate Fringe episode "The Boy Must Live" the Observer September (Michael Cerveris) reveals to Walter (John Noble) that he had been keeping a notebook of all his observations. This is the same "September’s Notebook" that fans of the show have been able to pre-order since earlier this year. According to a release from Warner Bros. and FOX, the publisher Insight Editions will release this notebook on March 12. 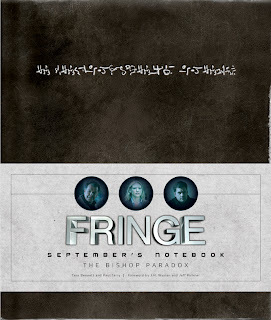 Essentially a detailed show companion that uncovers more secrets from the show, the $50 notebook is a "revelation for fans" and "includes exclusive photos and concept art, and reveals quirks and little-known facts about each character, insight into fringe science and much more." Fringe executive producer/showrunner J.H. 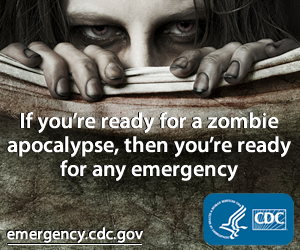 Wyman said: "We couldn’t have picked a better framework for this book with the Observers. Where we went this season is ultimately so Observer-heavy and it reveals some things that are really mind-blowing. We wanted to include the notebook in this upcoming episode, as it encompasses September’s journey from beginning to end." Although the book is written by September, he has some ... help ... from authors Tara Bennett and Paul Terry, who have published other companions in the past for other cult shows like Lost. This sounds like a pretty sweet goodie for Fringe fanatics. I dig it when shows take the time to thank their followers in this kind of way - especially since no one other than fans would be buying a show companion anyhow.